The LV-2E provides habitation and a research facility that is sent to Duna ahead of the crewed mission. It autonomously deorbits and lands itself on the Duna surface where it awaits the LV-2D crew lander. It shares the descent module of the LV-2D, however it replaces some of the equipment bays with a cargo deck holding a pair of ER-2 rovers and a materials bay. 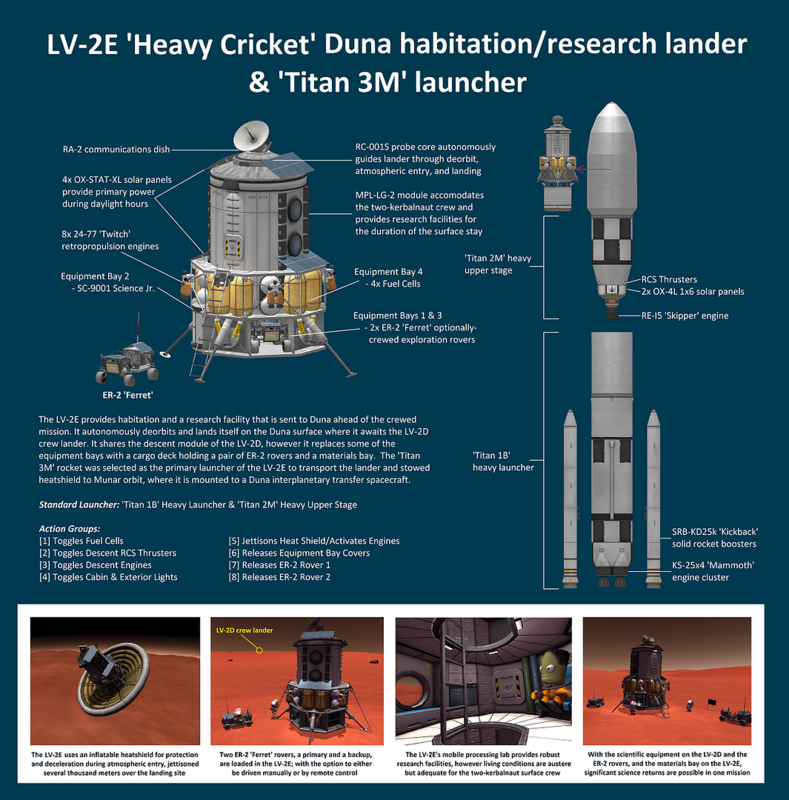 The ‘Titan 3M’ rocket was selected as the primary launcher of the LV-2E to transport the lander and stowed heatshield to Munar orbit, where it is mounted to a Duna interplanetary transfer spacecraft.